Regina Ann “Jeannie” Smith was called to heaven on Friday, Dec. 8, 2017. She passed peacefully at her home in Little Rock, surrounded by her loving family and close friends. Jeannie was born June 13, 1956 in Richmond, CA. She is survived by her husband, Ron Smith, three children Whitney Smith, Craig Smith and Matthew Smith; her father, Ray Terrill of Little Rock; sister Jacqueline (Mark) Morris of Tulsa, OK; brother Mark (Roberta) of Jupiter, FL; nine nieces and seven nephews. 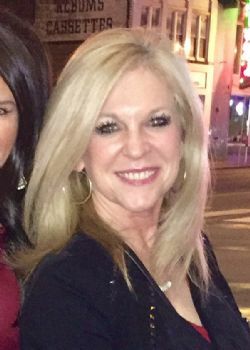 She is also survived by her brother-in-laws George Smith (Michelene) of Bismarck, AR; Rob Smith (Gwen) of Lake Charles, LA and sister-in-laws; Cindy McDaniel (Stephen) of Meridian, MS, Debbie Allain (Ladd) of Lake Charles, LA and Stacie Stockton of Orange Beach, AL. Jeannie was preceded in death by her mother and role model, Bernieta Terrill. She graduated from University of Maryland before relocating to Little Rock, AR. She was an extremely successful business owner. At the time of her passing, she owned BSI Inc., a health insurance company, and SO Restaurant. Her hobbies included interior decorating, cooking, traveling, listening to music and dancing. She was a master sommelier (wine expert). Words cannot adequately describe Jeannie. She was a woman who simply loved God and every person God placed on her path. Her beauty radiated not only on the outside, but from deep within. She accepted Christ as her savior at an early age and lived an incredible life; never shy about sharing her faith with others. Jeannie could light up an entire room without saying a word. Although our angel has transferred to heaven, her light will continue to shine brightly in the lives of her children, husband, and the countless lives she touched. She will be missed but never forgotten. If you want to fully describe Jeannie Smith, read Proverbs 31: 10-31. The family will receive friends from 4:00 to 7:00 P.M., Friday, December 15, 2017 at New Life Church, 8000 Crystal Hill Road, North Little Rock, Arkansas. Funeral Services will be 11:00 A.M., Saturday, at New Life Church with burial following at Riverwood Memorial Gardens. Arrangements are by Roller-Chenal Funeral Home (501-224-8300).